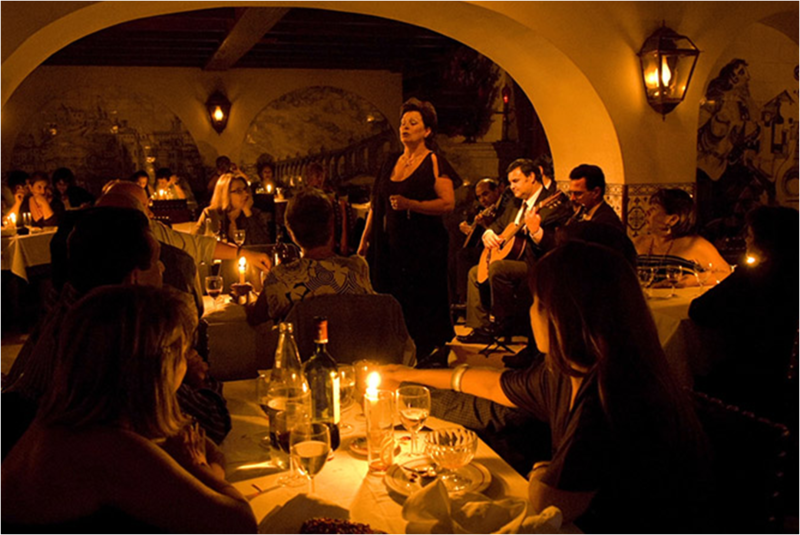 “A Severa” is a great restaurant where you can have a nice dinner while experiencing a concert of Fado, the Portuguese most typical form of music (declared World Heritage by UNESCO). This Lisbon´s restaurant is its oldest fado house (open since 1955), and it’s still owned by the original family (3rd generation). All of the best “fadistas” (fado singers) choose this house for most of their performances. This entry was posted in Restaurants and tagged Experience, Fado House, Lisbon, Restaurants. Bookmark the permalink.